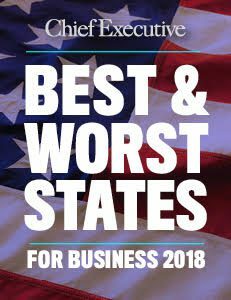 The state is striving to pull its economy from slow growth through innovation, entrepreneurship and public-private initiatives. The University of Delaware recently received a $250 million grant from the Department of Commerce and other entities to house the National Institute for Innovation in Manufacturing Biopharmaceuticals. State officials say it could help spur biopharmaceutical manufacturing in the state. JPMorgan Chase also recently opened its Global Technology Hub in Wilmington. Delaware Strategic Fund: Provides low interest loans and grants to businesses for job creation, relocation, expansion and brownfield redevelopment. New Economy Jobs Tax Credit: Provides a value calculated against a portion of total payroll for companies that contribute high-paying jobs to the state economy. Blue Collar Job Act: Offers credits against corporate or personal income taxes, gross receipts tax and public utility tax for businesses that hire five or more employees, invest at least $200,000 and operate in a qualified facility. Delaware New Jobs Infrastructure Fund: Offers economic assistance for renovation, construction or any other improvements to roads, utilities or infrastructure to attract new business to Delaware. Delaware STEM Council aims to grow the number of students, especially women and minorities, in the state who pursue degrees and careers in STEM fields. JPMorgan Chase announced in October 2015 it would be expanding its workforce in Delaware by bringing in an additional 1,800 employees to the Wilmington area. After the merger of Dow and DuPont in December 2016, DowDupont announced it would headquarter its agriculture company and specialty product business in Wilmington. Del Monte Fresh Produce announced in spring 2017 that it would place its newest and most advanced distribution center in Newark. Sallie Mae announced in August 2017 it would grow its presence in New Castle by nearly 200 employees.